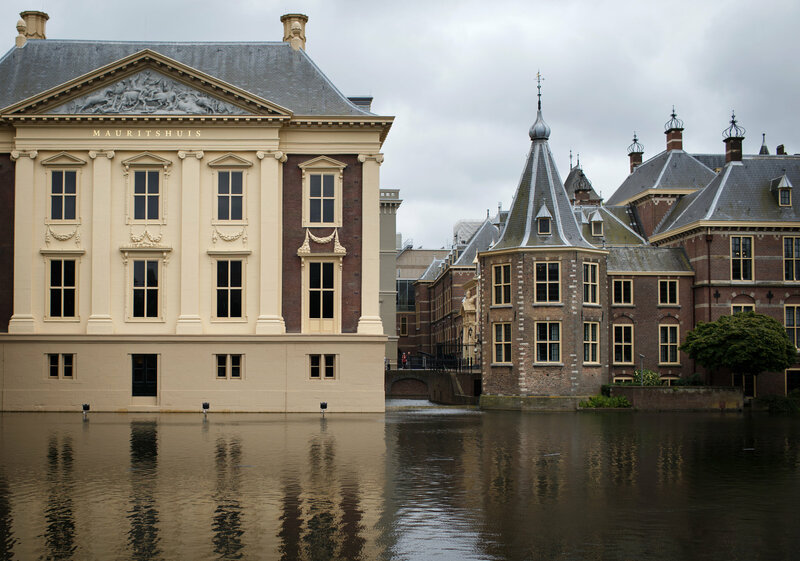 The Mauritshuis re-opened its doors to the public at the end of June 2014 after a two-year renovation. This museum hosts one of the finest collections of Dutch art from the Golden Age, including masterpieces such as Vermeer’s The Girl with the Pearl Earring, Rembrandt’s The Anatomy Lesson of Dr. Tulp and The Goldfinch by Carel Fabritius. Alongside the permanent collection, the Mauritshuis has a rich and diverse exhibition programme in store for this coming year, ranging from Rembrandt to Dutch self-portraiture, which will be hosted in the new space created during the renovation works. Over the past two years the museum has also worked on its visual identity by redesigning their website and restoring some of its masterpieces, while a large section of the collection was sent on tour to various museums around the world, attracting millions of visitors. How did you decide to build a separate exhibition space, and how did you plan the exhibition programme for the coming year? Emilie Gordenker: The question really is why we decided to reserve space in the new wing for exhibitions. The Mauritshuis has run a successful exhibition programme for over twenty years. In the past, we had to rehang the permanent collection every time we had an exhibition. This was a shame for those who came to the Mauritshuis for its outstanding collection, only to find much of it in store. The exhibition space is not large, and expressly not so, but it is flexible and offers us possibilities we did not have before, such as hanging large paintings (they didn't fit in the old building). We plan to organise three exhibitions a year, varying from large crowd-pleasers to smaller, scholarly displays centred around our own collection. Please see our website for our upcoming programme. We are particularly pleased with the loan of 36 works from The Frick Collection in New York, a first both for the Frick and for the Mauritshuis. Your collection boasts a number of masterpieces. Will these paintings be central for your forthcoming exhibition programme? Not necessarily, but our exhibitions will all relate to our collection and/or the building in some way. These masterpieces went on tour while the Mauritshuis was closed, how do you expect this to impact your attendance figures? Yes, we expect to receive more visitors. Two major Dutch museums re-opening in a few months – was it a conscious decision to renovate and re-open around the same time as the Rijksmuseum? No, it was not a conscious decision. The Rijksmuseum let Simon Schama be the first person to comment about their re-opening, what was your press strategy? We were keen to get the word out that the Mauritshuis owns one of the top 4 collections of Dutch painting of the Golden Age. The Mauritshuis is, after all, the home of the Girl with a Pearl Earring and many other treasures. We also wanted to get across that the museum is small and manageable, unlike some larger art museums. We targeted the art critics around the world, who responded overwhelmingly positively to our renovation and to the collection itself. Now that the mania of the last few weeks has calmed down a bit, what are your thoughts about the re-opening and your expectations for the next few years? We expect the large peak of visitors to level off over the course of time, and that we will receive about 25% more visitors than before the museum closed. We have ensured that the museum is much better known around the world, and plan on drawing many visitors from overseas. And we will put the Mauritshuis more firmly on the map as a scholarly institution, one that conducts high-level research projects. We want to become the 'go-to' place if you have questions about Vermeer, Rembrandt and other Dutch painters of Golden Age. Emilie Gordenker (born 1965, Princeton, New Jersey, United States) has been director of the Mauritshuis since 1 January 2008. Emilie was awarded her doctorate in 1998 by the Institute of Fine Arts, New York University. Her thesis, Van Dyck and the Representation of Dress in Seventeenth-Century Portraiture, was published in 2001 by Brepols Publishers, Turnhout, Belgium. During her time in New York, she worked for the Metropolitan Museum of Art, The Frick Collection and the Netherlands Institute for Art History and lectured at Rutgers University, New York University, Vassar College and the Bard Graduate Center for Decorative Arts. From 1999 to 2003, Emilie worked in London for companies in the domain of new media while also continuing to publish on her specialism and related subjects. In December 2003, she was named Senior Curator of Early Netherlandish, Dutch and Flemish Art at the Scottish National Gallery in Edinburgh. In January 2008, she was appointed director of the Mauritshuis.